Posted on August 22, 2018 at 3:40 pm. No one wants to find out they have mold growing in their home, and yet many people are living with mold without knowing it. 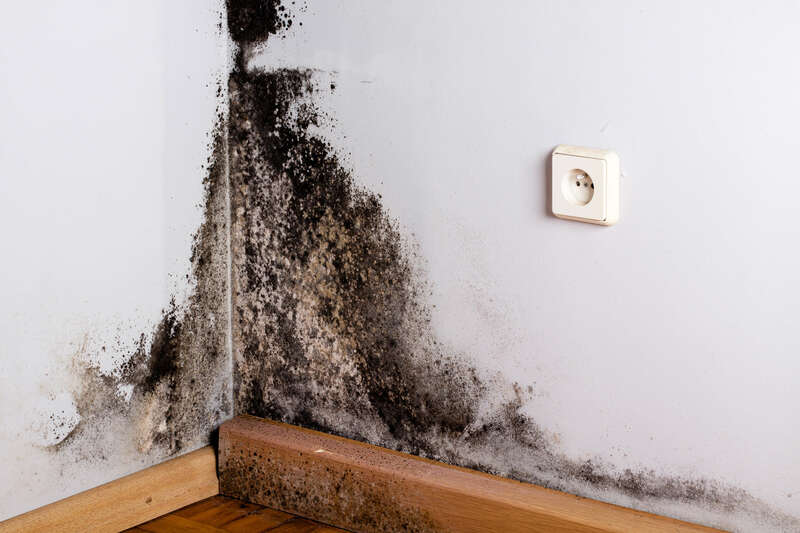 In addition to the damage it can do to your house itself, mold can also cause an allergic reaction, and toxic molds can even cause a host of neurological symptoms like headaches, dizziness, and memory loss. If you notice your allergy symptoms get worse when you’re inside your home, there’s a good chance mold is the culprit. And of course, once you suspect mold in your home, you’re going to want to find out where it is. If the mold is visible, say on a wall, you may not need to go searching for it. Many people also know that bathrooms and damp basements are often havens for mold growth. But mold can also hide in many less expected places, and remember that it is perfectly possible to have mold growing in more than one part of your home. Here are five places to check for mold that you may not have considered. If you’ve got a leaky pipe under your kitchen sink, you’ve got a potential home for mold, but any water problem anywhere in your home can easily lead to mold. Signs of water problems include water stains and discoloration, peeling or bubbling wallpaper, bubbling and cracking paint, and warping walls. If you find these signs, there’s a good chance there’s mold hiding. Unfortunately, even if there is no visible mold on your wall, it could still be lurking beneath the surface. Mold often grows behind walls or in wall cavities where damp air and moisture might build up. In the same way, it can hide above a ceiling. If you can’t find it, you may want to schedule a mold inspection. As the temperature changes, condensation builds up on your windows. While this won’t lead to mold all on its own, dirt and dust on the window provide the perfect food for mold. Mold can grow on the glass itself, as well as in the window sill, but you’ll also want to check the window frame, particularly around the seal where the frame meets the wall. Your chimney is the perfect home for mold, because crevices in the brick collect not only soot, but moisture, dirt and other debris as well. If you have air conditioning units, you have another potential mold haven. They trap dust and pollen from the air, as well as grabbing moisture. Especially if you don’t run your air conditioner every day, humidity can build up and easily lead to mold. The same is true for central air conditioning. If you think there’s mold in your home, especially if you may have hidden mold or an extensive mold problem, consider a professional mold inspection and mold remediation. If you need to say goodbye to mold, you want a Terre Haute home mold removal team you can trust. Call us for a free estimate.